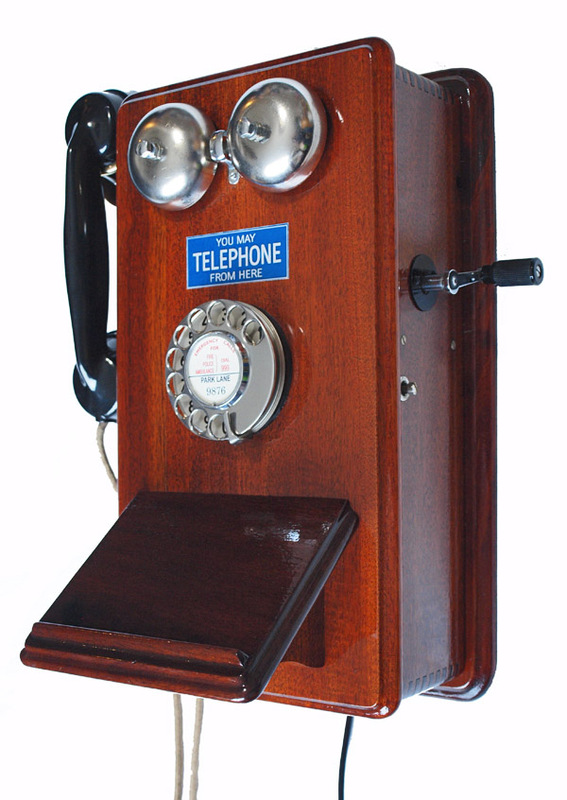 A wonderful hard wood manufactured telephone. 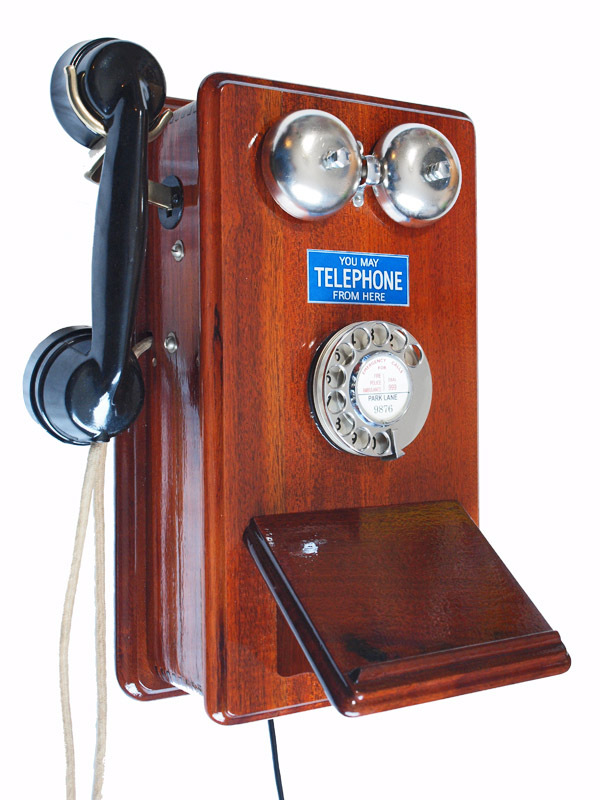 This is a beautiful telephone probably made in the 1940s for use on the railway between stations and signal boxes etc. They used large batteries in the lower compartment behind the hinged front door panel. 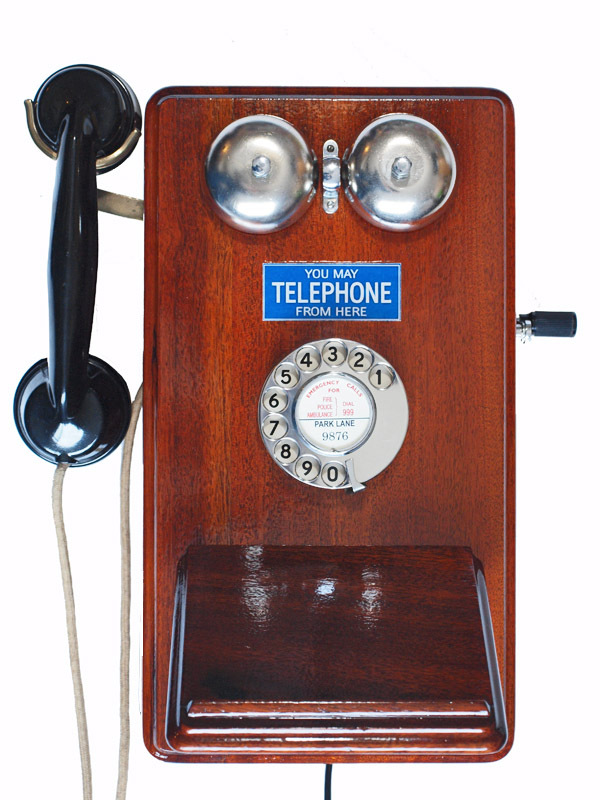 This system is totally incompatible with the modern system and so to save this beautiful telephone from being scrapped or simply used as an ornament I have had it stripped and polished to reveal the wonderful hard wood grain. It is fitted with a GPO No 21 dial and had the working from a 1970s telephone fitted to enable it to be used to both dial out and receive perfectly. It is fitted with an electronic microphone and so the speech quality is up to modern standards. This would look fabulous in the reception of top class hotel or company or in the hallway to your home. It has been added with a “you may telephone from here” decal and if you wanted to order one with your company log in this place the price would be an extra £30 and you would need to allow at least 8 weeks. I can make a dial label with your information at no extra charge.